Siouxland Garage Door is Sioux City, Iowa’s #1 choice for garage door repair and garage door installation. 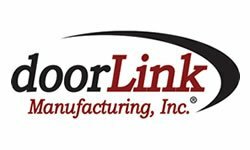 We are a locally-owned and operated garage door business in Sioux City that places a high premium on top-notch customer service. When you call Siouxland Garage Door, you can expect to be treated like family. Siouxland Garage Door is Sioux City’s full-service garage door repair expert. We know that not having a working garage door is more than just an inconvenience – it can put your entire life on hold. You can call Siouxland Garage Door in Sioux City day or night for garage door repair, garage door installation, and garage opener installation. When you need quality garage door repair service in Sioux City that you can trust, call Siouxland Garage Door. We provide the highest quality garage door repair service to ensure your satisfaction. We work tirelessly to make sure every project is completed according the highest industry standards. By providing quality workmanship and using superior products, we can guarantee the best results every time. At Siouxland Garage Door, we always come prepared to fix or replace your garage door. All of our trucks are fully stocked with the exact parts that you need for fast, reliable garage door repair service. With nearly 20 years of experience, you can rely on Siouxland Garage Door to expertly provide garage door repair service in Sioux City that will exceed your expectations by providing the best products, highest quality workmanship, and most affordable prices. We specialize in all garage door types including: rollers, cables and tracks, garage door openers and operators, chain drives and belt drives, jack-shafts, and screw drives. When you need a new garage door, there is no better choice than Siouxland Garage Door. We will install your new garage doors perfectly so that they blend in seamlessly with your home’s curb appeal. At Siouxland Garage Door, we provide a full range of garage doors, garage door openers, and garage door parts. We know that we have just the right garage door for your Sioux City home, made from the most durable and high-quality materials available in the industry. We pride ourselves on the quality of our workmanship, which is why we offer garage door warranties that will provide you with complete peace of mind for years to come. We know that you need to get your garage door functioning ASAP. Our technicians can be at your Sioux City home right when you need us! 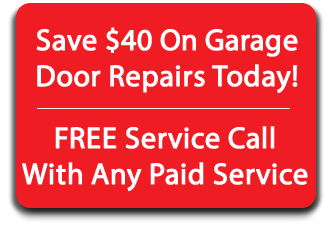 We offer fast, same-day garage door repair service 7 days a week with no extra charges for the weekends. You will find most other companies will even charge you overtime rates for nights and weekends, but not Siouxland Garage Door When you call us to your Sioux City home, you can expect honest and straightforward flat rates any and every time. For more information about our garage door products and services, contact Siouxland Garage Door at 712-252-4444 today! We look forward to providing you with unsurpassed quality and exceptional customer service as we take care of all your Sioux City home’s garage door needs. and I am extremely satisfied! From the initial call to the service person, everyone was polite and responsive. Also, the same day service is great when two of your vehicles are in the garage and you can't get them out! For any future issues, or replacement, ACS will be my first call! AMARR stood out as a top choice. 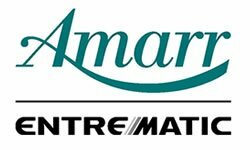 Finding a local supplier, I submitted my zip code on the AMARR website and was connected with Siouxland Garage Door. The BBB did not have a top rating but I called anyway. I was very pleased with the friendly customer service. I was pleased with the garage door I ordered. It was ordered and delivered on time, the installation techs were excellent to work with and meticulous. They have a range of options to choose from. The installation crew, (Rob & Justin) were professional and courteous. They installed the new garage and programmed it in a timely fashion. I would certainly recommend this company. They were on time and able to answer my questions. They tested to make sure all is in working order and cleaned up after the installation.